An exciting exhibition at the Hayward Gallery explores the work of Andreas Gursky. Subjects such as landscape, architecture and crowds feature in these stunning large scale photographic prints. 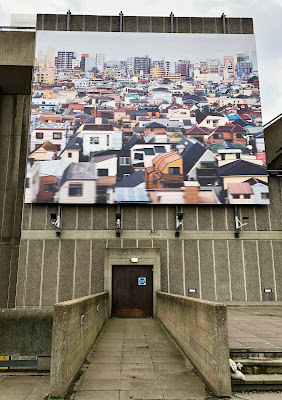 Having only previously seen Andreas Gursky's work reproduced in magazines and books, I was amazed at the size of the prints on display at the Hayward Gallery! Pattern inspiration can be seen in all of the images. Prints featuring ceiling lights, tulip fields and the Tokyo Stock Exchange depict many different levels of underlying grids, stripes and movement. "Paris, PCF (2003)" for example, shows the lamellate ceiling lights in the underground conference room of the French Communist Party. 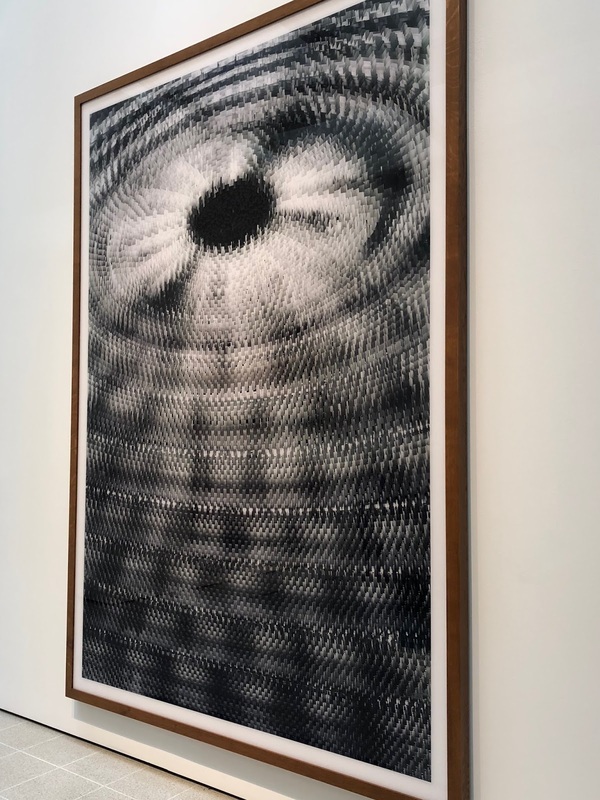 From an enormous abstract photograph of carpet floor tiles to precise satellite imagery taken far above the earth, the different scales of the subject matter are as fascinating as the size of the prints themselves. Each image is full of detail and shows a unique perspective on views that may initially appear familiar. In "Paris, Montparnasse (1993)", all of the individual windows can be seen in this enormous apartment block, allowing the viewer a glimpse into the lives of the residents. From across the gallery, the apartment building also takes on a grid pattern with an pixelated appearance. In some of the works, post production techniques are used to highlight, enhance and distort certain areas of the images. 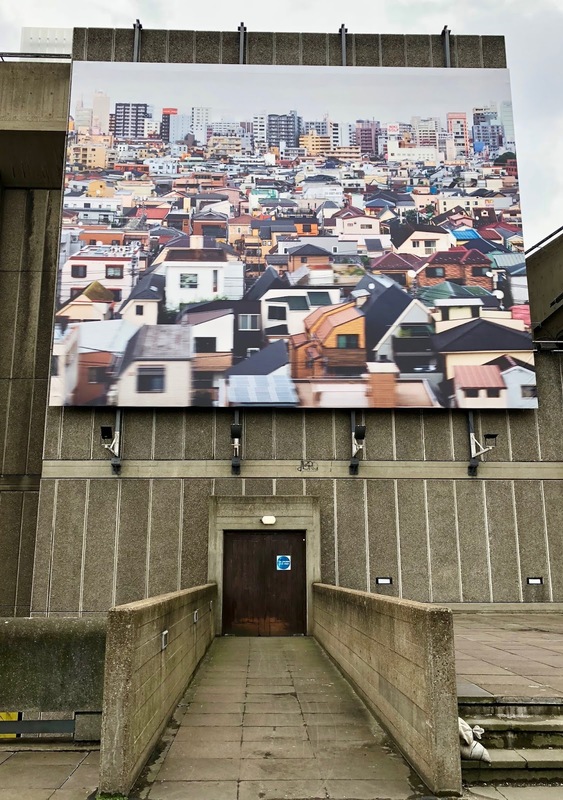 For example, on the exhibition poster displayed outside the gallery, Tokyo (2017), the Japanese city view has deliberate blurring in certain areas. I really enjoyed this exhibition! The images beautifully show the many underlying patterns in subjects that somehow appear familiar and unfamiliar at the same time. 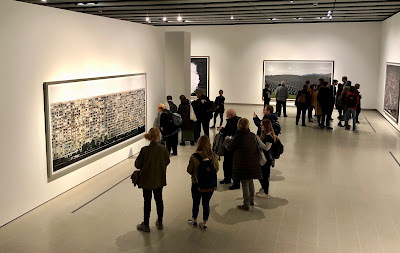 The Andreas Gursky exhibition is at the Hayward Gallery until 22 April 2018. Information about the artist, his exhibitions and images of all his work can be found on his website, www.andreasgursky.com.